The Vatican— Pope Francis issued a blistering denouncement of the Academy after it denied Leonardo DiCaprio yet another Oscar last night. 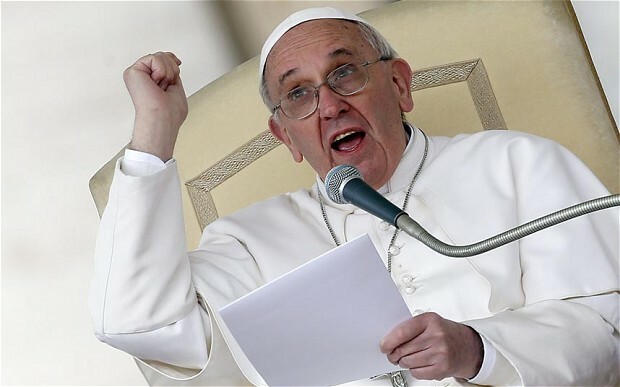 Pope Francis pleaded for the Academy to renounce its decision to award Matthew McConaughey or risk eternal hellfire. The Pope said DiCaprio’s brave on-screen portrayal of the evils of capitalism has secured what was already DiCaprio’s place at the right hand of the lord. Stubhill contacted DiCaprio for comment and discovered the actor was in denial about his loss. “I don’t know what you’re talking about, I won,” said DiCaprio. “How could I not win? DiCaprio then proceeded to repeat “how could I not win” as he walked away from the interview.